OUR CATHOLIC HYMNS are already beautiful enough to begin with; but great masters like Marenzio, Victoria, Guerrero, and Palestrina took things to another level. Do you see how he makes it into a Canon in the final section? Isn't that incredible? 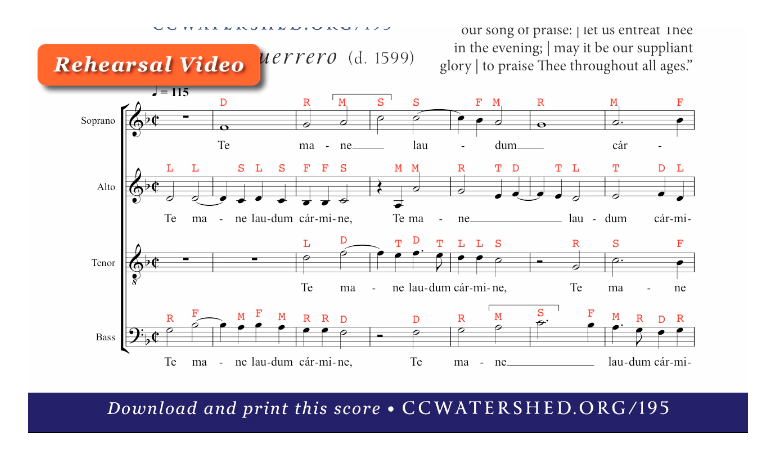 My guess is that you've never heard this piece in church before—but it can be sung at any Mass, no matter what the liturgical season!